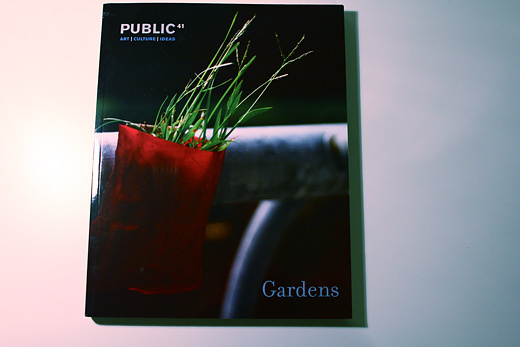 Sorry — it’s late, this documentation is rushed, but I just received a few copies of Public, issue 41, Gardens, edited by Erin Despard and Monika Kin Gagnon, which features our Removable Garden project on the cover, and as a nice spread inside! 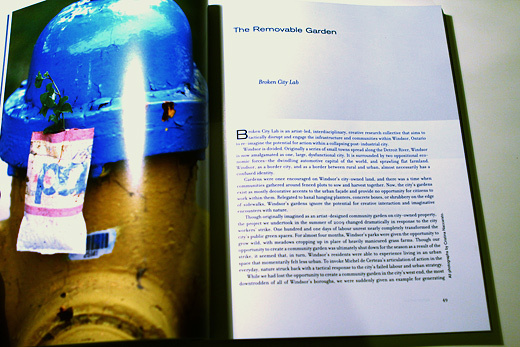 We wrote the text, which outlines some of process and ideas behind the research developing the magnetic planters, as well as some discussion around what led to wanting to develop the project in the first place. Anyways, it’s beyond exciting to see our project in print… you should pick up a copy. 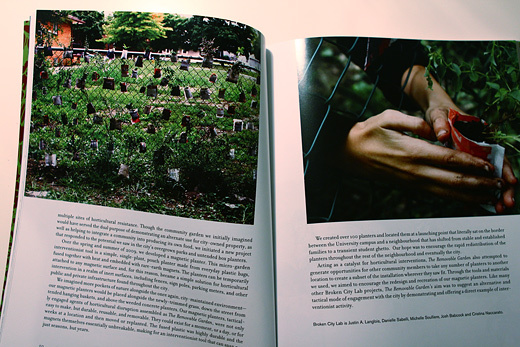 There’s a huge number of great articles and discussions on the creative, resistive, and productive uses of artist and activist gardens, including selections from Adrian Blackwell and Oliver Kellhammer … highly recommended. And, while you’re at it, you could pick up a copy of Public 40, which features an article written by Dr. Michael Darroch and Kim Nelson (colleagues at the University of Windsor) on Windsor (including BCL and Green Corridor). My personal assistant will be picking one up for me in Ottawa (as I’ve located a store that has it there). Woo! Looks so awesome! I can’t wait to see this in the flesh! Lookin’ good! Our images look really crisp…and it’s nice to see them in print of course! Next PostNext SRSI, Day 20: Garden Party!! !